You know when you’re wriggling about in your office chair, thinking, I really must get on with it? And a few minutes pass, followed by another few, and then it’s lunchtime. Either way, YOU shouldn’t be doing it. So, first decide whether it actually needs doing AT ALL. If it doesn’t, bin it and move on. If it does need doing, your second and final step is to find someone who wants to do it and is capable of doing it for you. That simple process will enable you to work permanently in your zone of genius and joy. 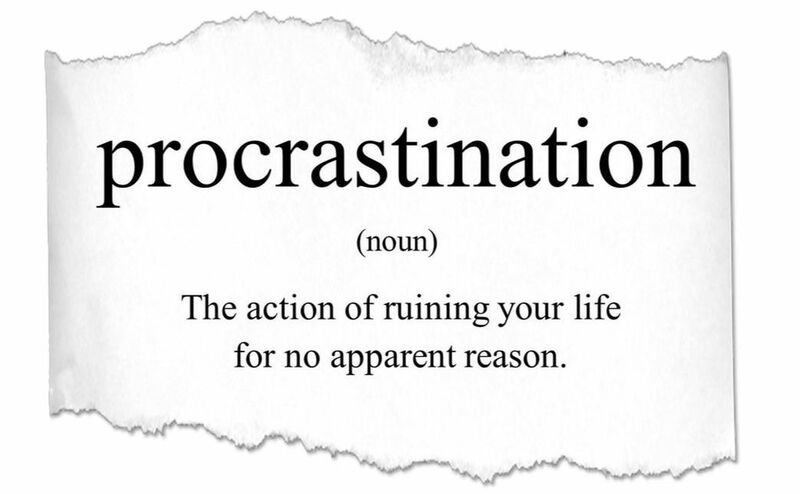 And there’s really nothing to procrastinate over there, is there? PS – Here’s something to NOT procrastinate over, even a bit. Do a little bit of next-to-nothing this weekend, and WIN a 1-2-1 mega-coaching session with me. Any topic.